In Vidarbha, known for its farm distress, the BJP-Shiv Sena alliance, which had swept all 10 seats in 2014, may not be able to repeat the feat this time round, observers feel. 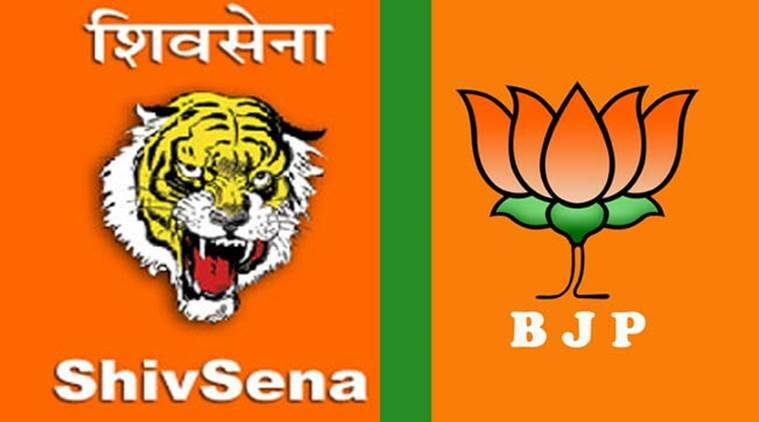 Sources in the Shiv Sena said that the appointments have not gone down well with the party leadership and it is likely to upset the alliance between the two parties further. Vidarbha, known for its farm distress, will vote, for the first time, in two phases, April 11 and 18. And like the division of the polling schedule, the region may witness a split verdict this time. The BJP-Shiv Sena alliance, which had swept all 10 seats in 2014, may not be able to repeat the feat this time round, observers feel. In 2014, the BJP had won six seats — Nagpur (Nitin Gadkari), Chandrapur (Hansraj Ahir), Chimur-Gadchiroli (Ashok Nete), Bhandara-Gondia (Nana Patole), Wardha (Ramdas Tadas) and Akola (Sanjay Dhotre). 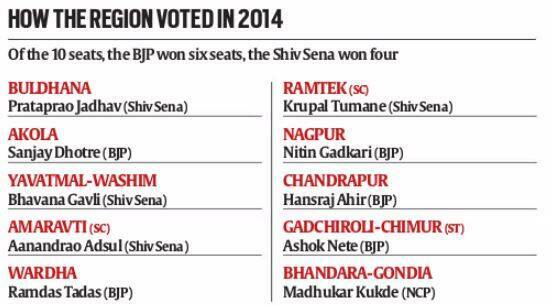 The Sena had won four — Ramtek (Krupal Tumane), Yavatmal (Bhavana Gavli), Amravati (Aanandrao Adsul) and Buldana (Prataprao Jadhav). The tally was reduced to nine last year with NCP’s Madhukar Kukde winning the Bhandara-Gondia by-elections held following the resignation of Patole, who later joined the Congress as an MP. “The Bhandara-Gondia contest can be seen as a barometer of mood change among voters. Even we had not expected this victory,” said Praful Gudadhe, who was instrumental in organising the Congress part of the alliance campaign. “I see this trend continuing this time too across the region,” he added. Gudadhde was one of the top two names considered by the Congress for the 2019 Nagpur contest. The Congress-NCP alliance is also banking on Dalit-Muslim consolidation working in its favour with the two communities. Another important distinction between the 2014 and 2019 polls is the absence of Aam Aadmi Party (AAP) surge this time. AAP candidates had won between 25,000 and over 2 lakh votes in 2014 in eastern Vidarbha. “These voters were not swayed by the Modi wave then. With APP strength depleting hugely over the past five years, these voters will hold the key this time. We expect a big chunk of it to vote for us this time,” Gudadhe said. Anjali Damania, who had polled over 70,000 votes against Gadkari in Nagpur in 2014, said, “I think most of those voters would now go for NOTA. I would appeal to them to vote for a good candidate and if there is none, go for NOTA.” She, however, added: “But in Nagpur, people should vote for Nana Patole, who is a better choice because he speaks for farmers.” Damania is not active in politics any more. The AAP, incidentally, hasn’t put up any candidate this time but declared its support to the Vidarbha Nirman Mahamanch (VNM), a united front of all pro-Vidarbha statehood organisations. The other seats where a keen contest is likely are Buldhana, where NCP’s Rajendra Shingne is widely believed to have an edge over incumbent Prataprao Jadhav, and Gadchiroli, where Congress nominee Namdev Usendi is widely seen as a potential winner over incumbent Nete. Sources said that fear of Maoists in parts of Gadchiroli may force voters to shun the BJP this time. Another important factor playing out in Vidarbha over the last three elections is the BSP. Its nominees have won huge chunk of Dalit votes ranging from over 50,000 to over 1.35 lakh. Outcomes will be influenced by how Dalits vote this time. The Congress-NCP alliance believes that the Dalit-Muslim combination will work in their favour this time as “both the communities have been antagonised by BJP’s conduct towards them during the last five years”. “It’s going to work this time in our favour,” a Congress leader said. Manohar sees Prakash Ambedkar’s “third front” (the Bahujan Vanchit Aghadi) as “helping the first front (the BJP-Sena) to win”. Similarly, new voters, too, will hold the key to the outcomes. Nagpur, for example, has more than 2 lakh new voters. “They might favour the BJP in a place like Nagpur, which has seen Metro train become a reality,” admitted a senior Congress leader. Vidarbha is also divided politically: east vs west. The reneging by Gadkari on statehood promise apart, development, too, has come largely in Nagpur and Chandrapur in the east while western districts like Amravati, Yavatmal, Akola, Washim and Buldhana have got little. “Gadkari himself says he brought works worth over Rs 70,000 crore to Nagpur. A lot of money had also gone to Finance Minister Sudhir Mungantiwar’s Chandrapur. But what have other districts got,” asked a senior BJP MLA from west Vidarbha. “It’s true that Gadkari got over 100 irrigation projects mostly in this part off the ground but their effect will be seen after a long time, not immediately,” he said. He, however, added that all this won’t go against the BJP this time.